You don't know the world of antique carpets and textiles, if you have never been to Sartirana Textile Show. Sartirana Textile Show - Special Edition. 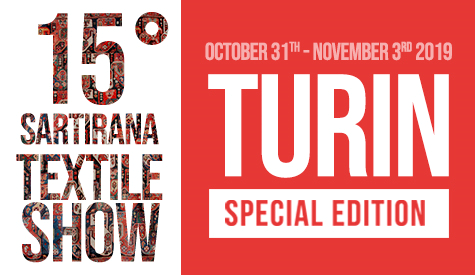 Arrived at its 15th Edition, Sartirana Textile Show is glad to announce a Special Edition that takes place in Turin at Promotrice delle Belle Arti from the 31st October to the 3rd of November 2019. The interest in the world of antique carpets and textiles began in Sartirana during the 90s, thanks to the fair "Fra Trama e Ordito". This was the actual premise of Sartirana Textile Show, intially organised by the Castle and then by la Pila. 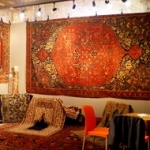 From 2005, "Sartirana Textile Show" has been keeping the tradition of the previous fair, showing every year a fine selection of rugs and textile from all around the world. 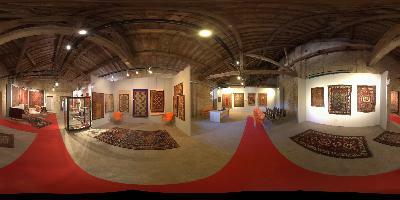 The exhibition is one of the most important trade fair of the antique textile sector. It attracts, in the beautiful setting of La Pila, international dealers, collectors and enthusiasts. Every year, old and new friends meet to exchange ideas and opinions, to talk about the latest findings, new trends in antique textiles and show most valuable and curious objects. From the beginning, the Sartirana Textile Show represents a point of convergence for the best known exhibitors and experts worldwide from Italy and throughout Europe, United States, the Middle East and even Japan. Every year, in addition to appreciating the Dealers Fair, visitors can enjoy numerous events and side cultural exhibitions.